[0:12] <Eette> has anyone setup openvpn on a raspberry pi? if so, did you notice any performance issues? [0:25] <[Ex0r]> can I format this 1tb external hdd in windows and have xbmc read it natively? [0:25] <[Ex0r]> or do I need to format it to a linux fs and ftp files to and from it ? [0:34] <Mortvert> rikkib - gimme! [0:34] <rikkib> got long arms? [0:41] <linuxthefish> is "arm_freq=1000" safe if i leave the overvolt on 0? [0:51] <AndrevS> linuxthefish, from my understanding, if you leave the overvolt on 0 you won't break warranty, however, it might become instable at higher speeds. [0:51] <shiftplusone> The warranty void condition is on the rpiconfig page on elinux. [0:55] <linuxthefish> what should i worry about? [0:55] <shiftplusone> stability, that's all. [0:57] <mark_vh> is there anything i can do in software to prevent this reset from happening? [1:04] <sofyan> helloo guys does anyone tried open CV to do image processing? [1:06] <nico_> does this make sence? [1:07] <rubiconjosh> You did load an operating system on a SD card right? [1:09] <rubiconjosh> I just got mjpg-streamer running, I do not have a webcam yet so I just verified it is working with the test images. If you have not installed it yet and you are not running arch you will have to compile it from a svn. The tarball on the main sourceforge website is out of date and does not work. [1:10] <sofyan> this will make the process faster right? [1:12] <rubiconjosh> bcam that outputs mjpg, your pi will use less than one percent cpu sending the images out since it does not have to do any processing. [1:14] <sofyan> rubiconjosh: when u'll start doing this project? [1:20] <rubiconjosh> sounds good, I am in here a good bit so just msg me if you see me here, i will eventually get it. I will let you know once I get something going. [1:26] <plugwash> nico_, how are you configuring your network? [1:30] <plugwash> hmm, is that some form of GUI or something? [1:37] <plugwash> did you remember to set a default gateway? [1:38] <plugwash> also is this wired or wireless? [1:44] <shiftplusone> jelly1, hey, looks like mjpeg support has been added. [1:47] <factor> Anyone work with the bcm2835-1.17 lib , I cant seem to get the input to work, the blink output works. [1:48] <factor> I have the pull up resistor switch in place. but no go. [1:52] <nico_> I got "RTNETLINK answers: No such process"
[1:59] <dr_willis> ive heard of other people with hubs with a lot of ports.. have issues..
[1:59] <dr_willis> seems hubs with more then 4 ports can be problematic. [1:59] <dr_willis> I wonder if it may be the hub power supply being underpowered for the 3 of ports. [2:01] <dr_willis> how slow is slow? [2:01] <shiftplusone> Is it actually accurate? [2:02] <dr_willis> i had 3 USB - self powered HDs on my Pi the other day.. had all sorts of issues.. unplugged them all.. powered up the pi and the 2 hubs.. then plugged in one hd.. waited a few min.. pluged in the second.. and so on..
[2:03] <shiftplusone> factor, I mean how is that maximum determined, is it just trusting what the device says (probably a lie) or is it actually limited to that current? [2:04] <factor> its hard coded info , like a label on the device. [2:08] <factor> Anyone here use the BCM2835 lib. [2:36] <[Ex0r]> hmm isnt usb3 like 400MB ? [2:47] <Coburn> what cameras do you use with it? [2:47] <Coburn> usb surviance ones? [2:56] <cndiv> Triffid_Hunter Thanks! that works! [2:56] <cndiv> also thanks shiftplusone ! [3:02] <pksato> I know other two tricks to get a "black" screen to omxplayer. [3:05] <cndiv> am I missing something? [3:09] <shiftplusone> but I am not sure why that would work if plain sudo doesn't. [3:09] <cndiv> I'll sudo to root and see if that makes a difference? [3:09] <shiftplusone> Maybe someone who knows more than me will jump in. [3:11] <cndiv> Triffid_Hunter, you mean the command works correctly when you do it from root? [3:11] <shiftplusone> sudo su - works fine, I am just saying that the cp command might not work... but I have no idea why it fails in the first place. [3:13] <Triffid_Hunter> I sure hope your /usr/bin isn't on a fat filesystem though! [3:14] <nico_> is the blue port on the Pi an audio jack? [3:14] <dr_willis> theres a stero out yes. [3:24] <shiftplusone> Heh, a little insecure? That was a perfectly reasonable question. [3:32] <nico_> Yay! its working finally! [3:33] <nico_> Would I use YUM .tar.gz or .rpm to install things? [3:33] <shiftplusone> What OS are you using? [3:34] <shiftplusone> Raspbian or Fedora? [3:36] <nico_> so no youtube? [3:38] <shiftplusone> I don't know what the youtube options are though, there's youtube-dl or something along those lines. There's also a youtube XBMC plugin as well. [3:39] <Torikun> anyone haveing issue rebooting and having their pi not come back? [3:40] <shiftplusone> Torikun, have you tried to check why it's not coming back by looking at what's happening over serial? [3:42] <nico_> what are the cons of overclocking? [3:46] <petersaints> shiftplusone: I've been testing my new Pi in Turbo mode. No problems so far. [3:46] <Torikun> "Hey police, look what I did"
[3:55] <shiftplusone> I find the internet annoying without adblock plus. I am not sure why people tolerate it. [3:57] <shiftplusone> So what's this about not getting any ads being weird? [4:01] <shiftplusone> Have you tried different SD cards? Since that happens and you also can't reboot properly every time, you should be able to get your pi replaced. [4:02] <shiftplusone> The pi or the sdcard? [4:03] <dr_willis> The cake is a lie! [4:03] <dr_willis> I did have an openelec SD card seem to get CUrrupted.. or somthing.. its failing to boot now.. havent looked into what happened to it. [4:03] <dr_willis> it was on the wifes pi. [4:05] <shiftplusone> Torikun, there are a few threads on the forum where people are asking for info about sdcard corruption. There's one by dom and another by another guy. You can use your bad luck for science. I mean helping them resolve the sd card corruption issues. [4:24] <petersaints> dr_willis: true. Scala uses JVM. I'm actually using the Java 8 beta that has the Hotspot JIT compiler. Because with the OpenJDK is a lot slower. [4:27] <dr_willis> he just has to turn it on in the morning - instant micky mouse clubhouse. [4:27] <dr_willis> But ie Can handle the netflix-kids interface. [5:46] <TAFB> anyone in north america with an iPhone that can check somethin for me? [5:55] <Gorroth> that dead project? [5:55] <Coburn> or was it? [5:56] <Coburn> right back at you? [7:23] <TAFB> impossible to beat it for quality, streaming options, nice lens, etc. [7:24] <Viper-7> TAFB: had a look at the A13-OLinuXino ? [7:27] <TAFB> I will need GPIO because it will be powered by solar power, and will need GPIO to measure current draw, voltages, etc. [8:08] <SubaruSVX> how expensive are they Eartaker? 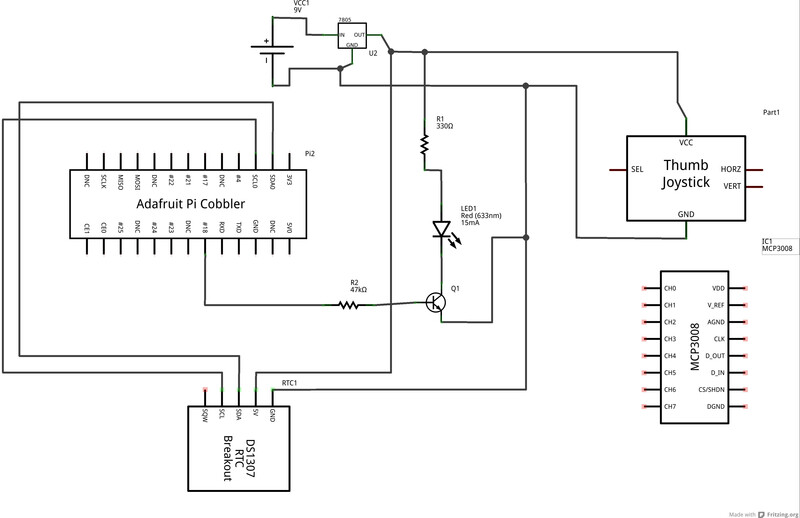 [8:20] <aDro> Anyone have a tutorial for creating a reset or power switch using the GPIO? [8:26] <rikkib> The rev 2 has reset pins. Not populated. [9:37] <aDro> I took it out and I sleeved 4 cathodes, a 4 pin molex extender, and some other stupid cables. [11:27] <djibb> Hi all :) I want to try this cam : http://www.ptgreystore.com/products/95-firefly-mv-03-mp-mono-usb-20.aspx on raspberry. Donwloads page provides an "arm build". So I've untarred it, install it and launch it. So in fact, I a a library issue: can't fin shared object) When I recompile it (ther're sources), all works well but same error occured. [11:29] <mrmoney2012> morning all - has any work been done on the 3.5mm audio output thing, couple of months back i couldn't get good audio - was all snap crackle and pop - better now ? [11:30] <mjr> It's inherently not very good quality. "Snap crackle and pop" sounds worse than it is though, but perhaps you're exaggarating. [11:32] <aDro> djibb: Pi rcognise the cam? [11:37] <aDro> So you can't get it to work at all, or you can't get the custom library to load? [11:38] <mjr> mrmoney2012, well, what the pi has onboard is a pwm generator which is being kludged to produce the analog audio. The main and recommended audio output is the HDMI, the analog is a fallback solution. [11:42] <mrmoney2012> if 3.5mm is never going to give ok sound - whats the point? [11:43] <aDro> 3.5 is decent sound. [11:49] <mjr> Indeed; now if this were a home theater solution, it would be just a waste to include a pwm audio output, but it isn't. The pwm audio is quite good enough for people to get their device to make sounds (quite usefully, even) even if they don't have a modern tv to plug it into. [11:50] <Gordio> Now exist patch to mplayer for RPi acceleration use? [11:57] <linuxstb> Gordio: Someone wrote such a patch months ago (as part of experiments to get software MPEG-2 decoding working). I never saw it published though. [12:00] <linuxstb> Gordio: It didn't use hardware decoding, just hardware rendering (converting the decoded YUV frames to RGB and scaling to full-screen). But from what I remember, the author said it was good enough for a lot of the older formats. [12:01] <Gordio> linuxstb, you use mplayer? [12:02] <linuxstb> Not on the Pi, no. [12:03] <linuxstb> You could look in the old MPEG-2 decoding thread in the Pi forums (Power Users forum I think). [12:06] <linuxstb> Not if you want to watch digital TV, it's very much a current standard. [12:06] <Macer> digital tv doesn't use h264? [12:06] <linuxstb> Sometimes, but I would guess that MPEG-2 is more common worldwide. [12:07] <linuxstb> In Europe for example, most SD channels are MPEG-2, with HD being h264. [12:07] <linuxstb> And I thought HD in the US meant MPEG-2? [12:08] <linuxstb> Countries which have switched to digital more recently have been able to use H264 for both SD and HD. [12:09] <Macer> easier to transcode? [12:10] <linuxstb> It's simply because at the time digital TV was introduced, h264 didn't exist. So there are millions of TVs and set-top boxes in use which can only handle MPEG-2. [12:45] <tomw889> anything interesting happening here? [12:45] <tomw889> haha i see, why now? 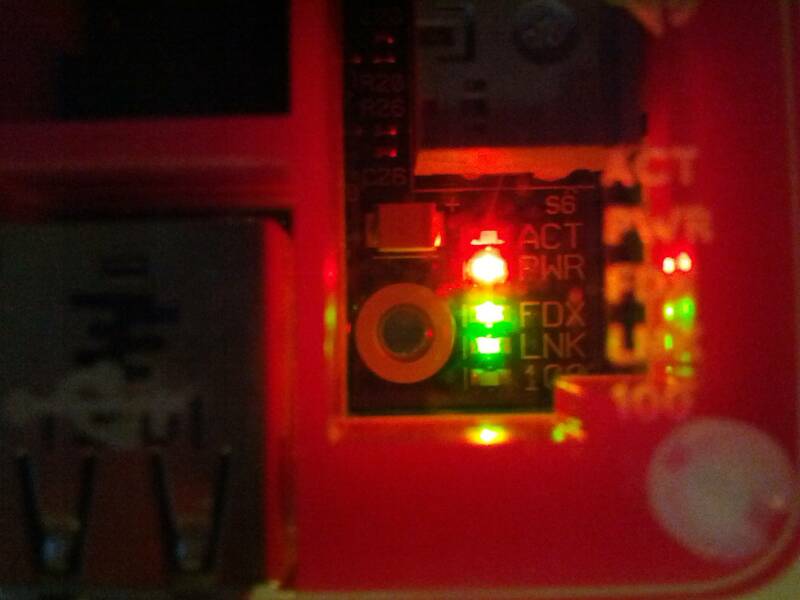 [12:46] <tomw889> done anything cool with your pi? [12:47] <tomw889> oh haha why not!?!? [12:47] <tomw889> are you on a linux box? [12:48] <tomw889> what distro are you trying to write to the card? [12:48] <tomw889> do mac's have DD? [13:01] <KittyPaws> How do I remove the bootup logo? [13:01] <tomw889> What the little raspberry at the top? [13:02] <KittyPaws> I am trying to make a small as possible linux distro and would like that removed. [13:02] <KittyPaws> I remember when a penguin used to be there! [13:03] <KittyPaws> aDro: Are you sure about that? [13:03] <KittyPaws> seems like the distro to me. [13:03] <tomw889> have you ever been on a flight when the entertainment system crashes and one comes up.. one of my first linux memories! [13:03] <KittyPaws> I remember distros (not for the raspberry pi but for x86 computers) having that penguin in the same place. [13:04] <aDro> I want to put a flag there. [13:04] <KittyPaws> I just have a ASCII logo at login. [13:05] <tomw889> Nazi flag? really? [13:05] <KittyPaws> and no X installed. Removed a large chunk of what was added for the raspberry pi. [13:05] <KittyPaws> Because I am working on a project and don't want things I don't need. [13:05] <KittyPaws> tomw889: No I don't want a nazi flag. [13:06] <tomw889> basically you just want to remove the image..
[13:07] <KittyPaws> Does that site have something to do with vxworks? [13:07] <KittyPaws> The software ran on Asimo the robot by honda? [13:07] <KittyPaws> djazz: I probs didn't use the right search terms and I apologise. [13:08] <tomw889> yes it's much more complicated than I thought..
[13:08] <djazz> KittyPaws: my search terms: "raspberry pi boot image remove"
[13:09] <KittyPaws> djazz: Similar to mine. [13:11] <KittyPaws> I use the swedish google even tho I'm not swedish. [13:12] <tomw889> ha can you speak swedish? [13:12] <tomw889> so why use .se? [13:13] <Megaf> Good morning folks, how are you today? [13:13] <tomw889> good and you? [13:14] <gordonDrogon> I have a not sol old CRT TV. [13:15] <gordonDrogon> it's a big 36" sony flatscreen thing. Takes 2 people to lift. [13:15] <KittyPaws> What's soo funny?! [13:15] <KittyPaws> old screens are good for projects! [13:16] <KittyPaws> well my project doesn't need video quality. [13:16] <aDro> I have the same 8b sd card! [13:18] <gordonDrogon> I have an old Dell 17" VGA monitor that I'll probably dump soon. I just can't give it away. [13:18] <KittyPaws> gordonDrogon: Whyy can't you give it away?! [13:18] <KittyPaws> Whyy would you rather dump it?! [13:18] <gordonDrogon> KittyPaws, no-one wants it. [13:19] <aDro> You can plug your Rpi into a HDMI to VGA adapter and then plug it into the VGA input for your monitor. [13:19] <KittyPaws> I know of a building full of 24/7 running Windows 95 computers all drip feeding programs to robots. [13:19] <KittyPaws> and the screens are TINY! [13:19] <aDro> And then jsut use the source button to switch back and forth. [13:19] <tomw889> great, I'm running mine as a server for the house so it's on all the time.. going strong! [13:19] <aDro> gordonDrogon: What's a tube? [13:21] <gordonDrogon> ie. not flat. [13:21] <aDro> yeah, that's a crt. [13:21] <KittyPaws> Well I hope the one coming isn't a wide screen and is tiny. [13:21] <aDro> what are we talking about? [13:22] <KittyPaws> it'd probs still work now if didn't get shut. [13:22] <gordonDrogon> we.. I have 2 brand new Rev 2 Pi's that I was hoping to sell next weekend, but the event has been cancelled. [13:23] <KittyPaws> but only for the price they're worth. [13:23] <gordonDrogon> KittyPaws, I'll sell them to you for the price I paid plus postage..
[13:25] <gordonDrogon> e14/farnell/ same people. [13:25] <KittyPaws> gordonDrogon: Do they have cases on them? [13:27] <aDro> What about a TFT Serial display? [13:27] <aDro> what does tft mean then? [13:28] <mrmoney2012> any fix for the popping ? [13:29] <gordonDrogon> KittyPaws, no - just bare Pi's. [13:30] <gordonDrogon> I might keep them though. always handy to have a Rev 2 - my other 3 are rev 1's. [13:31] <gordonDrogon> There is a slim chance the workshow will still run but at my office rather than the place we were doing it - but the people orginising it have not gotten bac kto me - we needed 8 to make it work there, but I can cop with 3-4 in my place. [13:31] <KittyPaws> but it came in the original packaging. [13:31] <gordonDrogon> I was plesantly surprised with farnell though - ordered friday afternoon and I got them saturday morning. [13:32] <gordonDrogon> KittyPaws, I'd expect that - they'll be buying from Farnell or RS anyway. [13:32] <KittyPaws> it'll come before I know it! [13:32] <gordonDrogon> you in the UK then? [13:33] <gordonDrogon> who did you buy from rather than direct from Farnell? [13:35] <gordonDrogon> never heard of them!! [13:35] <gordonDrogon> but it's easy now for people to buy from Rs/Farnell. [13:35] <gordonDrogon> especially in bulk. [13:36] <PredaGR> hello people, the move to the new firmware brought a new kernel but left behind the previous kernel modules, do they need to be kept or can I safely remove them? [13:36] <gordonDrogon> buy 100+ from Farnell/e14 and the price goes down from 25.40 to 22.34 each..
[13:36] <KittyPaws> My CRT comes this afternoon. [13:37] <KittyPaws> gordonDrogon: YOu can buy hundreds of them for 22.34?! [13:37] <gordonDrogon> KittyPaws, 22.34 each if I buy 100 at a time. [13:38] <KittyPaws> I've planned on buying in bulk anyway. [13:38] <gordonDrogon> So that's something a good online electronics retailler ought to be able to manage, then sell it as a bundle (to add value and profit) with SD card, keyboard, etc. [13:38] <KittyPaws> I've seen those starter kids! [13:39] <gordonDrogon> sure. things like that. [13:40] <KittyPaws> I have a power supply issue. [13:40] <gordonDrogon> you are not alone. it's a common issue. [13:40] <KittyPaws> gordonDrogon: I'm not talking about USB output. [13:40] <KittyPaws> I am talking about the power input. [13:41] <gordonDrogon> you just need to be lucky to get a good power supply. [13:42] <gordonDrogon> there are better solutions - e.g. Go Pro cameras..
[13:43] <gordonDrogon> a commercial "robust" little camera with on-board storage. [13:43] <gordonDrogon> they're very popular with outdoorsy stuff - e.g. kayakers, skydivers, climbers, etc. [13:44] <gordonDrogon> I had an evil step mother once. [13:45] <gordonDrogon> she just was. probably still is. an evil and horrible person. [13:45] <gordonDrogon> probably not helpfull. [13:49] <pewpewlaser> anyone have any good tips on what kind of equipment to scavenge 26p ribbon cables from? [13:49] <gordonDrogon> old PCs. floppy disk drives. 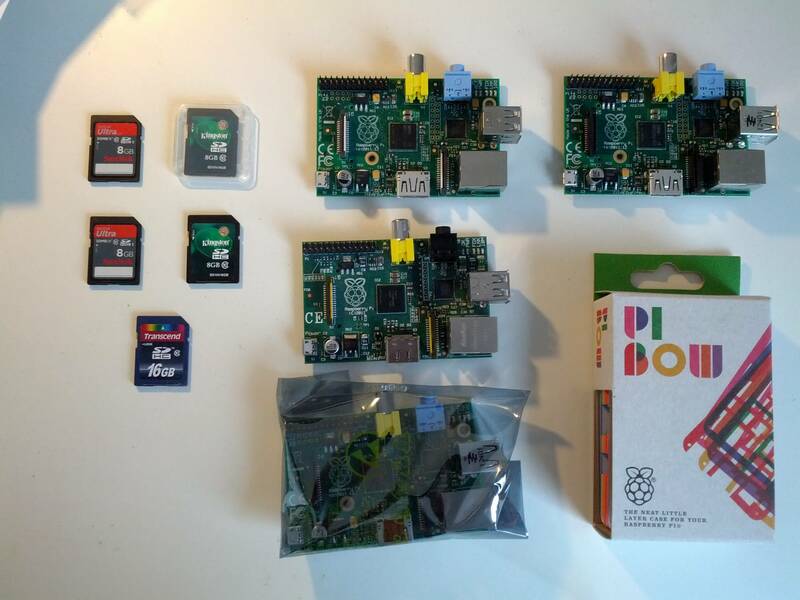 [13:49] <gordonDrogon> they're still too big, but can work OK.
[13:51] <gordonDrogon> KittyPaws, this is a raspberry pi forum - so I guess he wants it for a raspberry pi. [13:54] <KittyPaws> You had to cut into your case so that you can access the GPIO header?! [13:54] <KittyPaws> I already got access from my case. 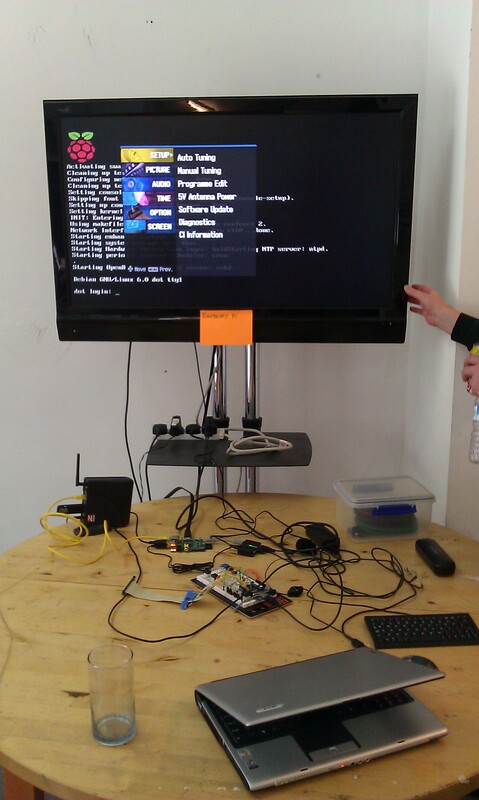 [13:55] <KittyPaws> tinti_: If it's a raspi distro just mention it here. [13:56] <KittyPaws> the GPIO header doesn't have anything that will hold the cable in it is just pins. [13:58] <KittyPaws> pewpewlaser: The side of the connector is what holds the cable into the sockets on a computer mobo. [14:02] <wishi> can somebody tell me how I start xbmc from terminal while I'm on a ssh session on the pi? [14:04] <double-you> anybody using a DWA-130 with r-pi? 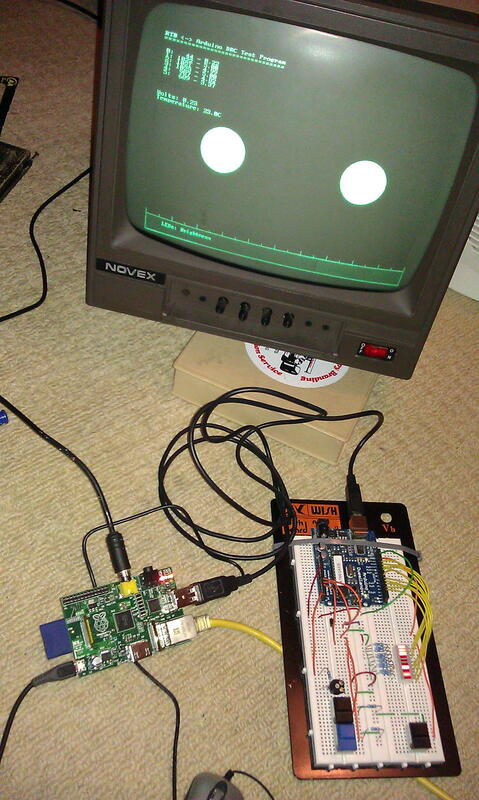 [14:11] <gordonDrogon> a floppy cable was the first thing I used on a Pi. [14:11] <gordonDrogon> wish I'd taken photos back then. [14:15] <KittyPaws> Yep it was a filesystem error that caused /home to vanish. [14:31] <lgeyer> is there anything else i can do to combat sd card corruption due to overclocking besides initial_turbo? [14:34] <pewpewlaser> gordonDrogon: i'm calling my hungover friends now to see who has their box-of-junk(tm) most accessible. did the full width of the fdd connector fit without modification? [14:40] <gordonDrogon> pewpewlaser, I didn't have a box when I tried it - just a Pi on the floor. [14:40] <KittyPaws> lgeyer: Overclocking has never corrupted my SD card but I've heard of things like that happening. [14:40] <gordonDrogon> I do have a photo - I remember taking one. Let me see if I can find it. [14:40] <KittyPaws> What you want to do is alter the BIOS code on the SD card (.elf files) so that you can use the SD card as a kick starter and boot your OS from a pendrive. [14:41] <KittyPaws> Pendrives are a LOT faster than SD cards. [14:41] <pronto> what's a pendirve? [14:41] <pronto> oh, usb drives? [14:41] <KittyPaws> I thought the term "pendrive" was crystal clear. [14:42] <KittyPaws> but you will have to do some altering of the BIOS code. [14:43] <KittyPaws> I can't help you tho. [14:43] <lgeyer> KittyPaws: that's interesting. do you have further information on this? do you coincidentally know if this has been fixed in 2.99.2? [14:45] <KittyPaws> the Raspberry Pi will take a 32gb USB drive. [14:45] <gordonDrogon> in the middle of that is a cable connected to a breadboard that would connect to the Pi. [14:46] <lgeyer> KittyPaws: ok, thanks. [14:48] <KittyPaws> lgeyer: Ignore me on the .elf files btw. [14:52] <mark_vh> Kleobis: you have windows? [14:52] <gordonDrogon> Gordio, 1MB what? [14:52] <Kleobis> mark_vh, we are talking about Microsoft Windows, right? [14:53] <gordonDrogon> Gordio, stull confused. it's just a crappy photo off my phone. [14:57] <gordonDrogon> the only important bit of that photo is the cut-down floppy cable I was using to connect the Pi to the breadboard. [15:09] <equivoc> any ideas what's wrong? [15:10] <viric> over 92% of what? [15:11] <viric> ah I don't know it. no idea. [15:13] <shirish> hi all, can anybody share what sort of HDMI cable I should buy if I'm buying for a raspberry pi to an HDMI capable LCD monitor ? [15:14] <shirish> Is there something like male to male or male to female kinda thing in HDMI ? [15:14] <gordonDrogon> 50C is fine. wory about temperature when it reached 75C. [15:15] <shirish> Dyskette: ah o.k. so need male cables, thanx. [15:15] * shirish has no idea about HDMI cables, honestly. [15:16] <shirish> Dyskette: any particular brands which are good you can share ? [15:16] <gordonDrogon> equivoc, that's fine. nothing at all to be concerend about. [15:16] <equivoc> gordonDrogon: do you know what else might be a problem? [15:16] <equivoc> or what else I could check? [15:16] <shirish> Dyskette: I actually was finding the male/female ones more so was confused . [15:17] <shirish> Dyskette: ah cool. I'm actually doing this in a school , where they have CRT as well. [15:17] <shirish> Dyskette: am confused about the /boot/config.txt - overscan bit. Can you explain that a little better. [15:18] <gordonDrogon> equivoc, not sure - I did read something about some new Pi's having a problem where they turn off after 10 minutes though, but I don't recall the details. [15:22] <pewpewlaser> gordonDrogon: ah, cool setup. what's the breadboard thing in the foreground? an arduino? [15:23] <shirish> Dyskette: understood, basically trial and error. O.k. will try. [15:24] <dcorona_irc_2020> someone help me to setup my netgear n150 usb wifi adapter with rpi? [15:27] <pewpewlaser> gordonDrogon: do you use them together or is it for separate tinkering? [15:29] <pewpewlaser> aha, cool. organized by whom? [15:29] <gordonDrogon> I just made up that breadboard to do some testing with a protocol I had to interface arduino to Linux via serial. [15:29] <shirish> does anybody if there is a debdelta mirror up for raspberry ? [15:29] <gordonDrogon> pewpewlaser, I don't recall. [15:32] <shirish> gordonDrogon: rsync is good, but debdelta is way better. [15:33] <shirish> gordonDrogon: rsync you could use for syncing daily images or something, debdelta is for doing updates from within the OS itself. Smaller updates. [15:37] <des2> The PI is naked! [15:37] <des2> CRT ? It's 2012. [15:37] <Armand> Is that it? [15:37] <KittyPaws> des2: It's just a screen I need for a project. [15:37] <KittyPaws> Video quality isn't a concern. [15:37] <Armand> des2, KittyPaws: Crisis Rescue Team ? [15:38] <des2> Oh no they changed the year again! [15:38] * Armand cuts gordonDrogon's power..
[15:39] <KittyPaws> Your point is? [15:39] <gordonDrogon> KittyPaws, don't swear. [15:39] <shirish> pronto? what's SFW means ? [15:40] <gordonDrogon> I've never conciously tried to keep a Pi up for a long time - yet. [15:40] <shirish> and life goes on. [15:42] <gordonDrogon> 0.08 is nothing. [15:43] <gordonDrogon> load average is the number of processes marked as "runnable" over a period of time. [15:46] <gordonDrogon> Hm. I did power them all down when I went on holiday last year for a week, and I took one away with me when I had an emergency trip abroad to make. [15:47] <Armand> 28Ah.. and only 1 Pi, so far. [15:47] <gordonDrogon> shirish, Pi has a standard HDMI connector, not a micro. I'd be surprised to see and monitors with micro sockets on them. [15:48] <gordonDrogon> I have a gold plated one! [15:52] <shirish> linuxthefish: you mean there's no need for 'gold plated ones' or the 'gold plated ones' is some sort of trick/gimmick ? [15:52] <Armand> shirish, no need at all. [15:52] <gordonDrogon> oxygen free coppe FTW!!! [15:52] <Armand> As far as plating... isn't nickel better ? [15:54] <shirish> gordonDrogon: FTW ? [15:54] <shirish> linuxthefish: is gordonDrogon being sarcastic by that statement or saying that is good ? [15:54] <Armand> OFC *is* good. [15:55] <shirish> Armand: ah, o.k. [15:55] <gordonDrogon> shirish, For The Win. [15:55] <linuxthefish> gold is soft, no? [15:56] <shirish> gordonDrogon: thanx, thought for a sec. Win. = Windows but understood later Win=Win. [15:56] <gordonDrogon> gold doesn't tarnish - that's why it's used on connectors. it won't ever rust. [15:57] <gordonDrogon> I think its use may well be overrated on domestic stuff, however it's still used a lot. [15:58] <gordonDrogon> I didn't particulalry go looking for an hdmi cable with gold plated connectors - it was the only one I could get at short notice. [15:59] <KittyPaws> Yes, do as I say! [15:59] <KittyPaws> and my system still does what i want it to do! [16:00] <dcorona_irc_2020> anyone help me out in configuring my wifi, http://pastebin.com/3k05WTCR you can find lsusb, ifconfig at pasteboard. [16:01] <gordonDrogon> Gordio, it converts the physical form. [16:02] <shurizzle> hi huys, I want to connect my vga monitor with my raspberry pi, what do? [16:03] <shurizzle> can you give me some links? [16:03] <gordonDrogon> Gordio, your being overly pedantic. who cares. [16:03] <gordonDrogon> adapter might have been a better word to use. [16:07] <Gordio> dcorona_irc_2020, check dmesg? [16:08] <Gordio> Oh sorry, can't help. [16:12] <Gordio> dcorona_irc_2020, I think driver work. [16:14] <Gordio> But sometimes dongle broken, and not find network (i have one). If distortion PCB - work. [16:14] <linuxthefish> luaa: ssh in and kill it? [16:15] <Gordio> dcorona_irc_2020, oh you need software for find and connect to you network AP? [16:16] <luaa> Linuxthefish is there an other option? [16:16] <luaa> Whats the default ssh password? [16:19] <dcorona_irc_2020> apt-get install net-wireless ? [16:22] <linuxthefish> why does omxplayer never work? [17:28] <martk100> I am using enlightenment desktop on archlinux, I need to re-configue the desktop. How do I get the initial configuration screens back? [17:48] <martk100> Try again. I want to return to the initial configuration screens on Enlightenment desktop. Can anyone tell me how to do it? [17:54] <Joeboy> Anyone know when I'll be able to buy a model B? [17:54] <Joeboy> er, model A? [17:56] <Kisume> Mhh... I'm planning on removing my Pi from the electricity-meter-cupboard and putting it on my room... but I will have to switch from wired to WiFi. Since it's streaming/downloading 24/7 - is WiFi stable enough? [17:56] <Kisume> I don't really want to resort to a powered hub. [18:01] <SanMysterious> Hello, has anyone gotten rid of that horrible noise yet when using raspbian with an external soundcard like Creative's SoundBlaster X-Fi HD? [18:17] <frojnd> Any ideas why gpu won't share memory? [18:19] * Kisume mumbles something about Arch Linux ARM and how glorious it is. [18:22] <mdik> lighttpd or nginx? [18:23] <mdik> |Jeroen|: for eating? sure! [18:23] <frojnd> Any ideas how to share gpu memory? [18:24] <Kisume> lighttpd all the way. [18:24] <frojnd> therefor gpu is not useful for me..
[18:24] <Kisume> Although I like apache. Keeping it classy. [18:24] <mdik> |Jeroen|, Kisume: and pancake/lighttpd will be able to serve python-stuff as well? [18:25] <frojnd> nid0: why not? [18:26] <frojnd> nid0: in 256MB version I could, what changed? [18:28] <frojnd> nid0: by default gpu_mem gets 256 MB right? [18:29] * Kisume is away: Dinner. [18:37] <frojnd> OK I see..
[19:19] <timmmaaaayyy> anyone use hdmi_hotplug or hdmi_safe? what else did you set if anything? [19:33] <linuxstb> timmmaaaayyy: No, I have no idea either. I just tried various things when I got my first Pi, and have stuck with that as it worked. [19:33] <timmmaaaayyy> lol, cool. thanks much! [19:36] <pksato> its is CEA and need hdmi drive. [19:38] <linuxthefish> does anyone know why OMXplayer gives this error when trying to play files? [19:38] <pksato> hdmi_safe force 640x480. [19:38] <linuxstb> linuxthefish: What is your GPU/CPU RAM split? [19:40] <pksato> it ia safe mode, test, emergency, etc. [19:40] <timmmaaaayyy> ok. thank you very much! [19:53] <djazz> anyone know why the input volume is so low? how can i increase it? [19:56] <SpeedEvil> also, assuming free and timely availability of the pi may be foolish. [19:58] <innaway> SpeedEvil: "free and timely availability" you mean relative to the BB? [20:00] <pksato> pi dont have a real audio codec. [20:03] <linuxthefish> there is static on quiet bits in the song, is that a low quality power supply problem? [20:06] <double-you> TAFB: oh there is the live billard performance! [20:11] <linuxthefish> i'm in the UK, what about you? [20:13] <TAFB> where are you double? [20:17] <Torikun> Cool. Any new projects? [20:18] <Torikun> I hear audio! [20:18] <TAFB> Torikun! Nice! What OS and Browser? [20:19] <TAFB> Ok, I'll mark it down. I'm keeping a list of what works and what doesn't so I can let the click2stream guys know. [20:19] <Torikun> TAFB get a mega account? [20:19] <TAFB> I have a mega account, but it's so friggen flaky right now, haven't successfully uploaded ANYTHING! [20:20] <TAFB> Can other people (police) see my ish on gdrive? [20:21] <Hodapp> TAFB: If you're concerned, then encrypt. [20:22] <TAFB> Hodapp: I've never worked with encryption before. I like encryption with Mega because it encrypts as I upload. Can gdrive do that? [20:22] <Hodapp> I doubt it. [20:23] <TAFB> xzr: If I encrypt a folder on Mega, then want to work live, with files in it, I have to enter my encryption key. You just mean Mega probably doesn't store it? [20:23] <Torikun> Mega does not have a non-web based way to upload right? [20:23] <xzr> TAFB: well they "shouldnt"
[20:24] <TAFB> xzr: I've waisted a ton of bandwidth trying to get stuff uploaded without success, so I give up for now. [20:28] <Torikun> say if you use owncloud, how could you encrpyt the traffic? [20:29] <Torikun> so that means its encrpyted right? [20:29] <shiftplusone> Meh, a truecrypt flashdrive is good enough for me. [20:30] <shiftplusone> I remember licensing contreversey, but not security conroversey... what kind is it now? [20:31] <shiftplusone> Crack it properly or just brute force? [20:37] <BCMM> Torikun: if somebody highlights somebody else, it'll make more sense if you scroll up to the last line by "somebody else"
[20:39] <linuxthefish> i still just use ftp and my own webserver, fast and always up! [20:39] <BCMM> why not sftp? [20:41] <linuxthefish> KittyPaws: "You need to be logged in and a Member of this Group to reply to this Post "
[20:42] <KittyPaws> I can view posts without being logged in. [20:42] <a930913> How many amps can you move between two ground pins on the pi? [20:42] <KittyPaws> linuxthefish: I did? [20:42] <KittyPaws> That's the full link! [20:43] <KittyPaws> no OP killed me. [20:44] <KittyPaws> linuxthefish: I can't get the full link. [20:45] <SpeedEvil> what are you trying to do? [20:46] <a930913> SpeedEvil: Ground two devices. [20:47] <KittyPaws> a930913: Whyy ground the pi?! [20:47] <KittyPaws> is it outside vulnerable to thunder storms? [20:47] <a930913> One being an hbridge, another being the supply power to the hbridge. [20:50] <a930913> SpeedEvil: Any ideas? [20:55] <TAFB> anyone know, on GPS units, what the predictive read ahead technology is called? Like if the GPS has a 1hz update, it guesses your location to make a smoother display. What's that called? [20:56] <mgottschlag> what about dead reckoning? [20:56] <TAFB> yeah, I think that's it :) thanks! [20:57] <Davespice> shiftplusone: did you ban her too? [21:13] <discorpia> i'm having this error after trying to install wiringpi-python; http://pastebin.com/tYSLNrHJ anyone have any idea what may cause that? [21:23] <john_f> discorpia: is swig the lastest version avail? [21:25] <linuxthefish> why do i always get "ERROR: COMXCoreComponent::DecoderEventHandler OMX.broadcom.audio_mixer - OMX_ErrorPortUnpopulated port 0, cannot parse input stream" in omxplayer? [21:33] <hellsing> does anyone tried to use a xbox360 controller with gngeo on the pi? [21:53] <Joeboy> discorpia: Have you tried with python2.x? [21:56] <linuxthefish> is there anyway to get VLC to make use of the hardware acceleration? [21:57] <linuxthefish> any omxplayer alternatives? [21:58] <hellsing> mplayer doesn t use the harware acceleration? [21:59] <djazz> whats wrong with omxplayer? [22:00] <linuxthefish> djazz: it does not work for me!! [22:04] <djazz> linuxthefish: what gpu_mem split do you use? [22:05] <djazz> what codec is the file? [22:06] <djazz> you use raspbian? is it up to date? [22:06] <djazz> when did you flash the card? [22:07] <djazz> and you only get "have a nice day ;)" message? [22:08] <djazz> no info about the file? [22:08] <rstrt> Has anyone tried running KDE on a Pi? (Arch build) I imagine it would be pretty unbearable, worth giving it a shot? [22:11] <linuxthefish> does the pi have ssh enabled by defualt? [22:11] <linuxthefish> ah, time to reflash then i guess! [22:12] <hellsing> rstrt, never try it, is it already compiled? [22:12] <djazz> linuxthefish: can you play the file on another computer? [22:13] <djazz> have you tried the rpi-update tool? [22:16] <rstrt> I probably won't bother, I just got my Pi and I'm still playing around. [22:49] <linuxthefish> will i be fine running my pi on the carpet? [22:57] <shiftplusone> I wonder a bit about static, but built up circuit board aren't as prone to being messed up by static as single components. [22:58] <alexhairyman> If I were to power a component (such as an LED, or a RTC module) from a separate source (not using GND, or the 5V pins on the raspberry pi), but still hook up a gpio pin to an NPN transistor, would I be OK? [23:00] <alexhairyman> so have the GND on the pi go the GND on the battery too? [23:01] <alexhairyman> but I don't need the 5v from the pi? [23:04] <alexhairyman> okay, so will the GPIO pin voltage still be 3.3V? [23:05] <pksato> this node, on most cases are same a GND. [23:07] <piney0> alexhairyman, what is your end goal to accomplish? [23:08] <pksato> DS1307 is 3v3 safe? [23:09] <darlekc> anyone using arch ARM on the pi? [23:11] <pksato> alexhairyman: and, R2 have very high value. Or Q1 is a darligton transistor? [23:21] <shirish> does anybody how to get the progress-bar while using dcfldd ? [23:22] <SpeedEvil> some modern transistors have women in. [23:22] <shirish> so that I can get that progress bar ? [23:23] <shirish> alexhairyman: what's pv ? [23:24] <TAFB> Open new shell terminal. [23:26] <shirish> alexhairyman: which package has the pv command ? [23:49] <shirish> alexhairyman: it's working but I haven't unmounted /dev/sdb1, is that ok ? [23:50] <alexhairyman> are you writing to /dev/sdb ? [23:51] <shirish> alexhairyman: dunno if it's doing the right thing or not. [23:53] <alexhairyman> does that make sense? [23:53] <Naphatul> so i've read several places that there's some crackling with audio playback and analog output, how true is this? [23:54] <Naphatul> shiftplusone: was that directed at me? [23:54] <alexhairyman> shirish, rerun the command exactly like this sudo bash -c "pv 2012-12-16-wheezy-raspbian.img | dd of=/dev/sdb bs=1M"
[23:55] <Naphatul> is it a design flaw? any fixes for it? [23:56] <shiftplusone> Naphatul, not a design flaw. It was designed to be a low cost device for eduation. High quality audio is expensive, so it was designed to be as good as possible without adding much cost... so it's exactly as designed in that sense. [23:56] <shirish> alexhairyman: for some reason it seems to be stuck on 353 MB and not moving further. [23:57] <shirish> alexhairyman: I am using your bash -c "pv 2012-12-16-wheezy-raspbian.img | dd of=/dev/sdb bs=1M" command. [23:57] <shiftplusone> Naphatul, I didn't say anything that would suggest otherwise. [23:58] <Naphatul> so, uhh how noticeable is it? [23:59] <shirish> alexhairyman: doing it. Btw it started to move again but now it's slow. [23:59] <shiftplusone> Naphatul, enough that you should reconsider using it for the purpose I would say. You can reduce it by using crossfade, but it is something you'll be able to hear once in a while.